Here we are again playing with vinegar this time with pickles, I sometimes wonder how I have enamel on my teeth, probably because I only drink water 99% of the time. But if I could, I would absolutely drink pickle juice from the jar, I use it instead of salt in some recipes, it’s a tasty juice. 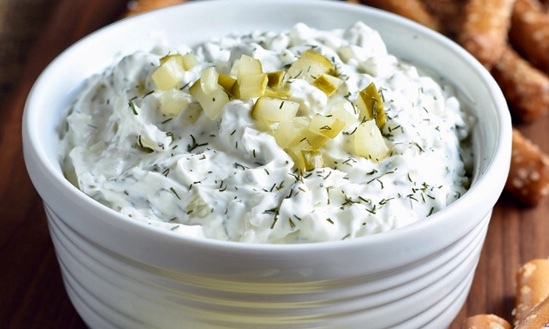 Who doesn’t enjoy a good dip and how can you go wrong with pickles and cream cheese, yum! Here is a super easy and tasty recipe that you can quickly put together for your next party. In a bowl stir cream cheese until smooth. Once smooth add chopped dill pickles, onion, pickle juice, dill weed, and pepper stir until thoroughly combine. Cover and refrigerate 1-2 hours or overnight before serving. Serve with your favorite chip, veggie, and hard or soft pretzel.